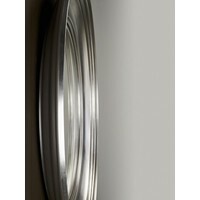 Deknudt Round silver mirror "Clara"
Home Round silver mirror "Clara"
"Clara" is a round silver mirror with a stunning design frame from Deknudt. 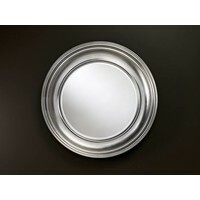 This mirror is available in a matt white, matt black, a golden or silver frame. 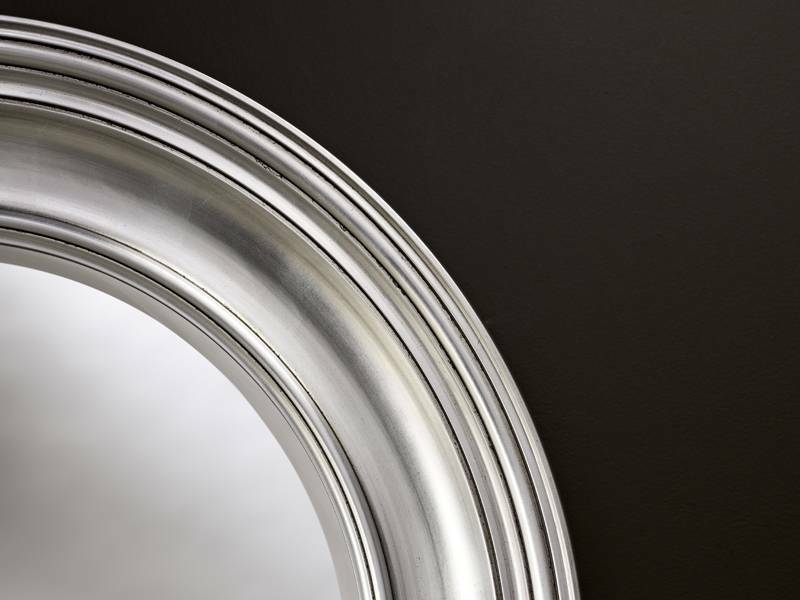 "Clara" is a stylish and large round silver mirror from the Belgian mirror factory Deknudt. The silver coloured frame is inspired by the gorgeous classic ceiling moulures from the past transformed to the contemporary modern style. 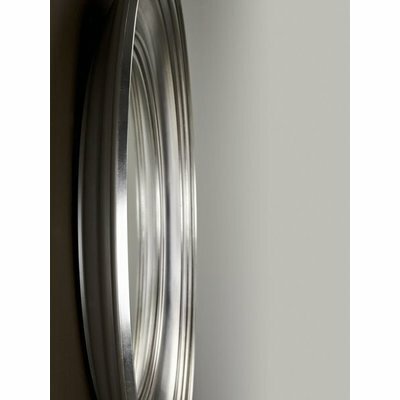 Therefore this round silver mirror is well-suited in a classic home as well as a modern one. The frame is also available in the colours matt black, matt white or gold. 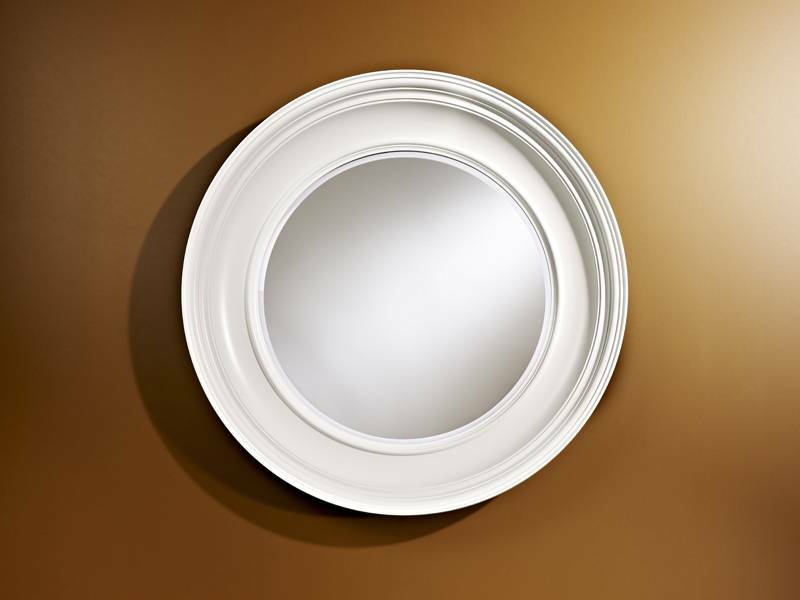 The frame of 'Clara' is a kind of dish. 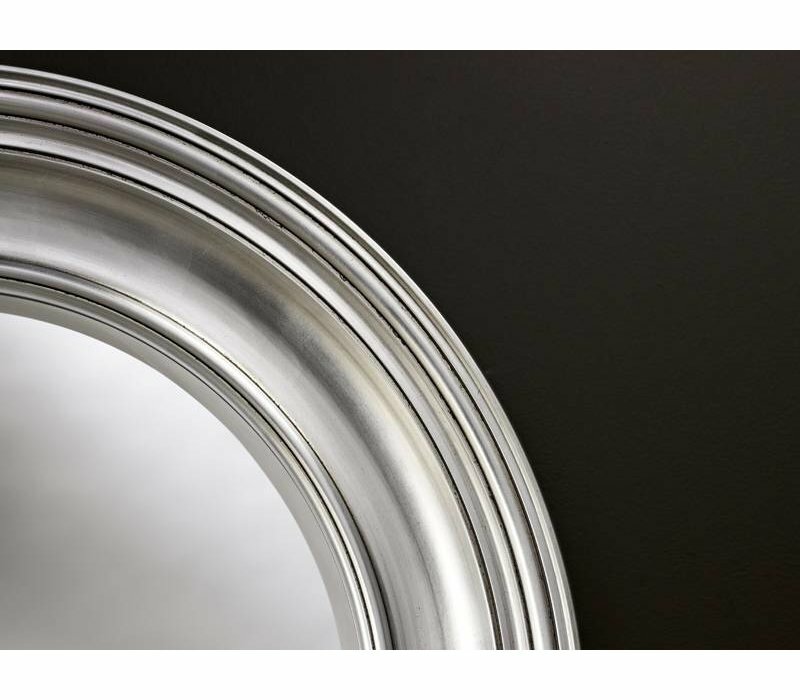 The round forms in the front design appear on the backside of the frame as well. And because the frame partly hangs away from the wall this is also clearly visible. 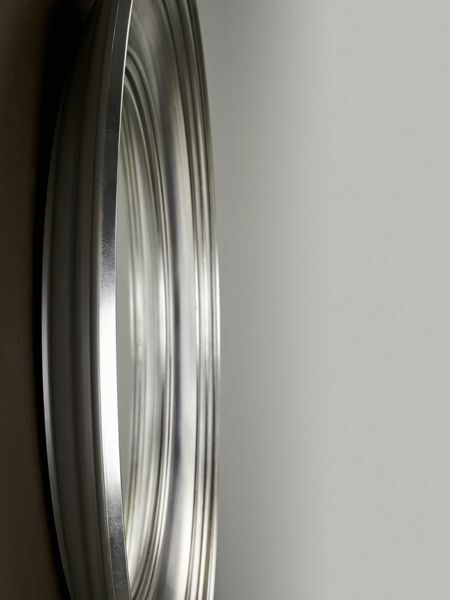 Furthermore this slim design produces a light mirror despite its size. 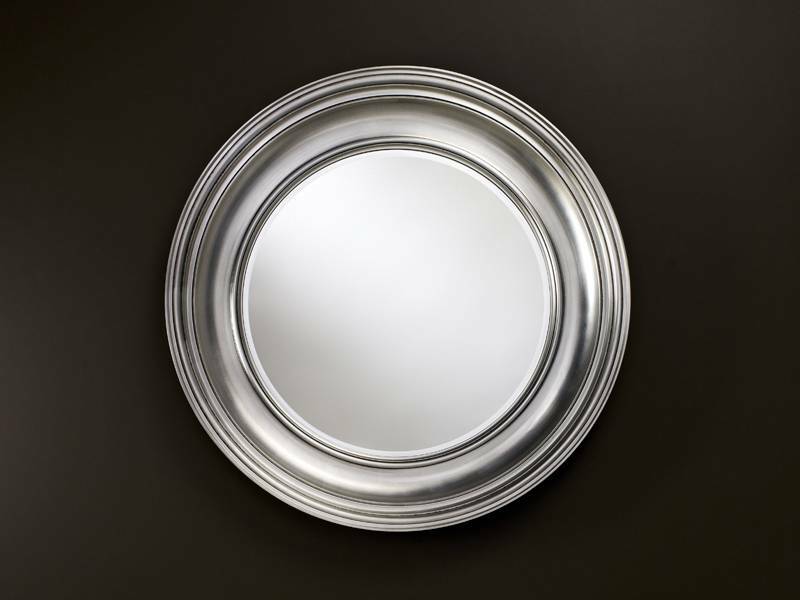 This mirror has a diameter of 102cm. A beautiful design by Annemie Vanzieleghem. 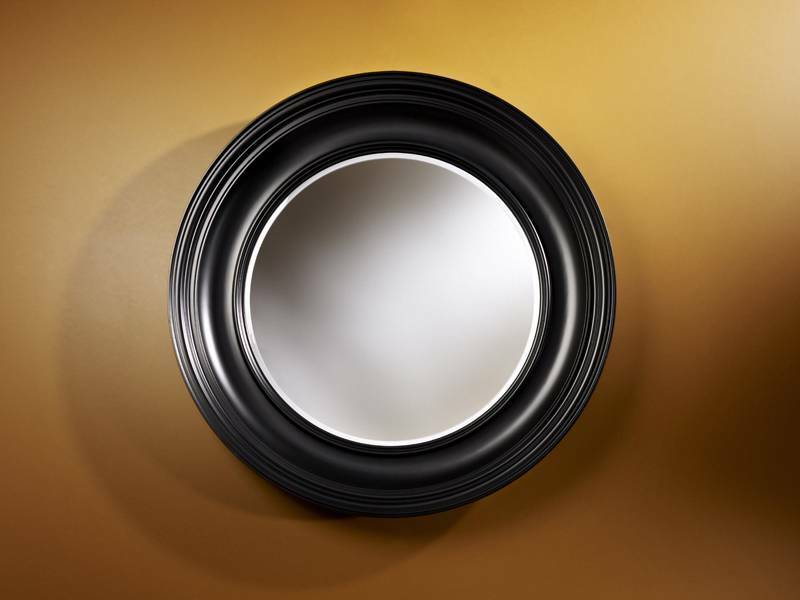 The frame has been professionally formed from the high quality synthetic material, polyurethane. 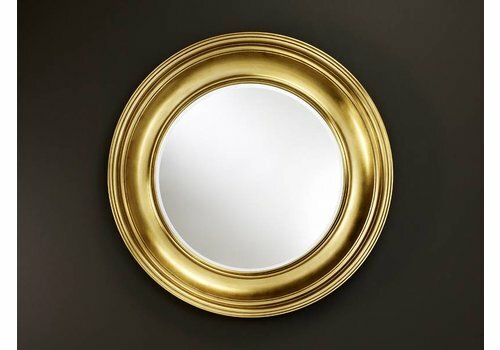 The mirror itself is in house produced by professionals of Deknudt in Belgian Deerlijk, using techniques that have been passed down from generation to generation. 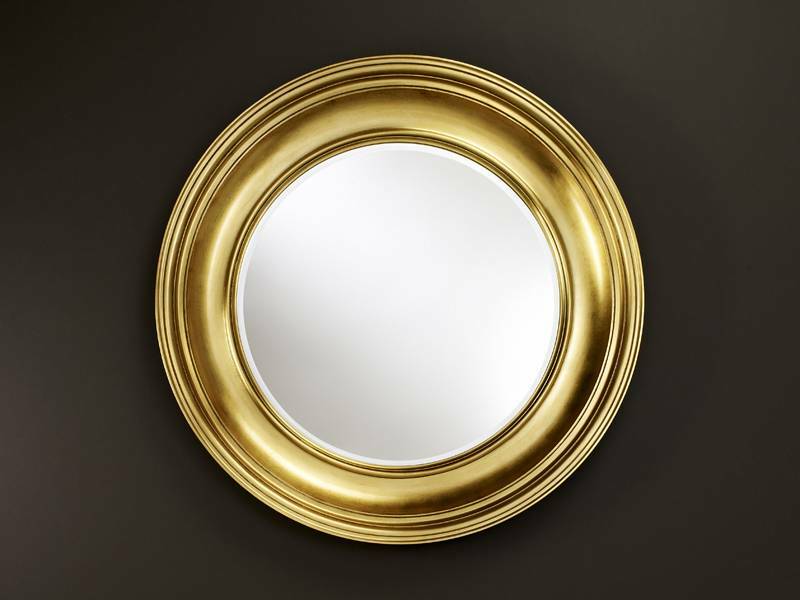 The diameter of the mirror including the frame is 102cm, the frame is 168mm wide and the thickness (distance frame from wall) is 91mm. 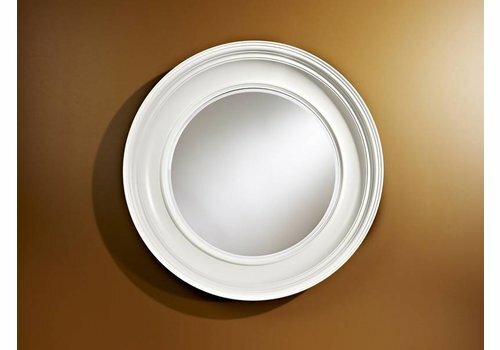 'Clara' is a lovely, large round gold mirror with a design frame, by Deknudt. 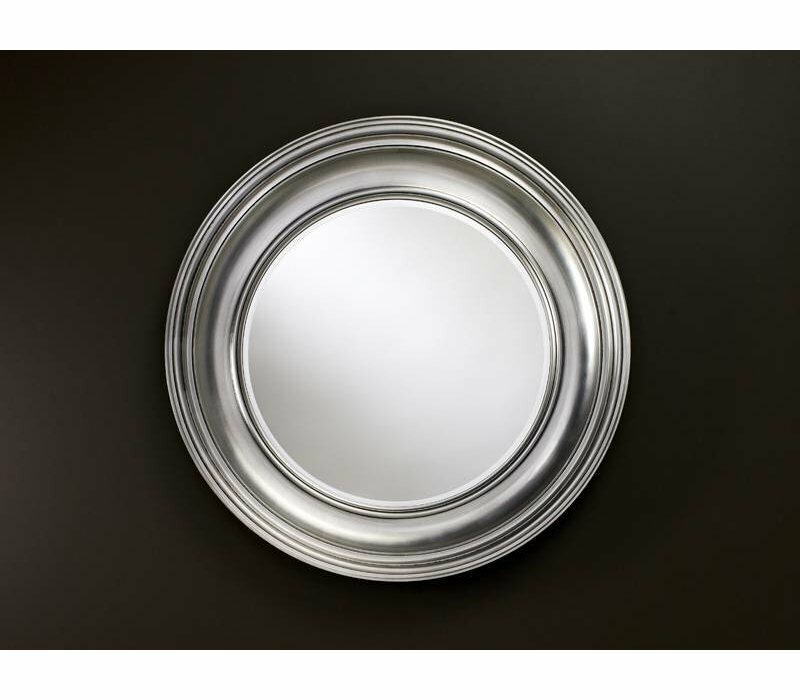 This mirror is also available in matt black, matt white and silver. 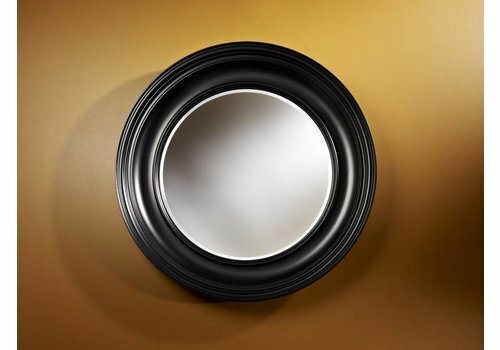 "Clara" is a black wall mirror with a stunning design frame from Deknudt. 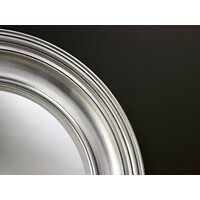 This mirror is available in a matt white, matt black, a golden or silver frame.